Coffee actually has lots of health benefits. In addition to being a stimulant for your mind, it supposedly also keeps headaches at bay. I've suffered from chronic headaches and migraines since my teens and I do find that drinking coffee will lessen the attacks somehow. I'm more likely to get a headache if I haven't had coffee in over a day. Go figure. 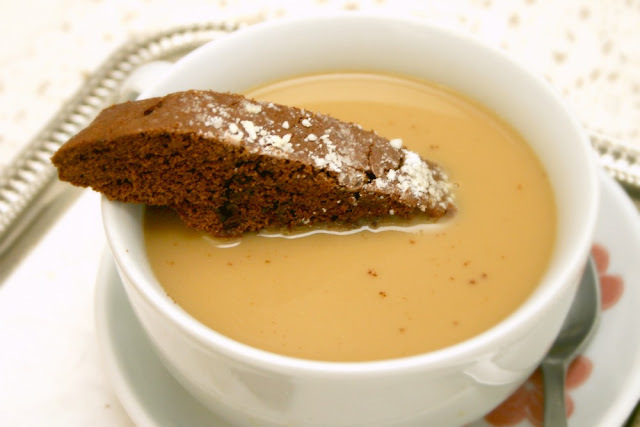 While I'm having my coffee, I love dunking stuff into it. Yes, I'm a dunker and no, I don't dunk donuts. I mostly dunk cream crackers and sometimes sweet Khong Guang biscuits when I have them. 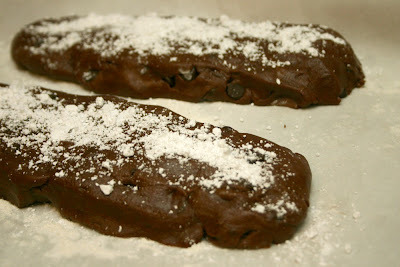 This afternoon, I decided to make biscotti so I would have something new to dunk for the rest of the week. Even better, I'd make them chocolate flavored! 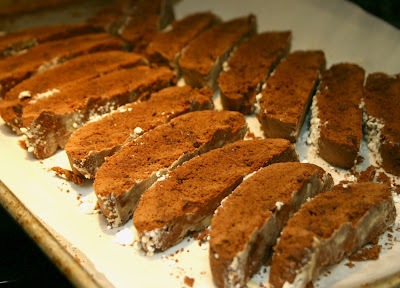 The biscotti turned out to be soooo good. 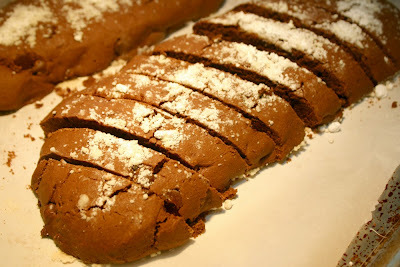 The smell of chocolate wafted through the entire house while they were baking and the scent was just divine. 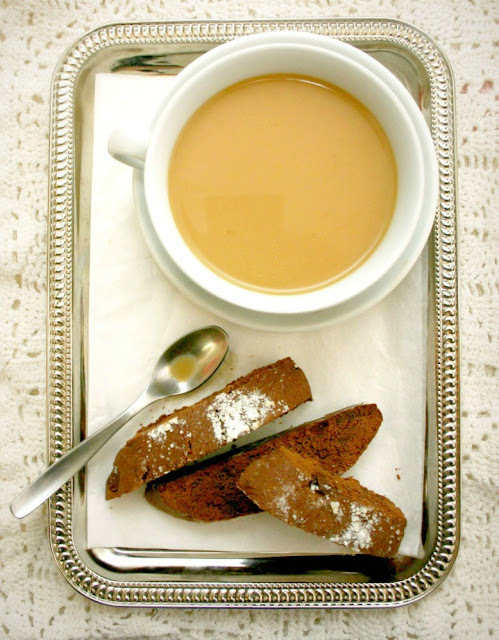 I couldn't help but brew a cuppa joe at 4:30 p.m. so I could try a biscotti with it. Now I can't wait to have my morning coffee. Slightly adapted from Home-ec101.com. Makes about 18 cookies. 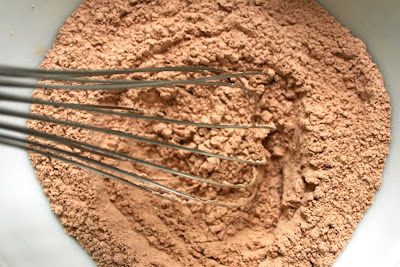 In a medium bow, mix the flour, baking powder, salt and cocoa powder together with a whisk. Set aside. 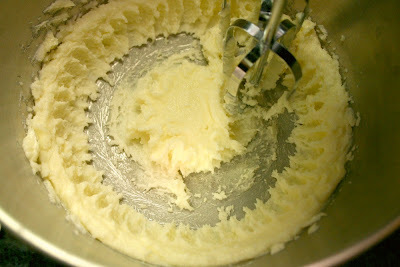 Place the butter and sugar in a mixing bowl and cream until fluffy. 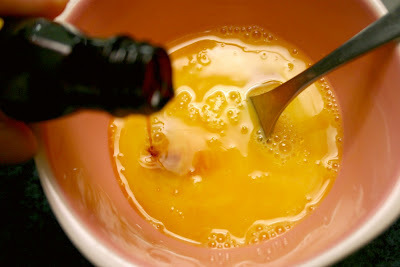 Crack the eggs into another bowl, add the vanilla extract and beat lightly. 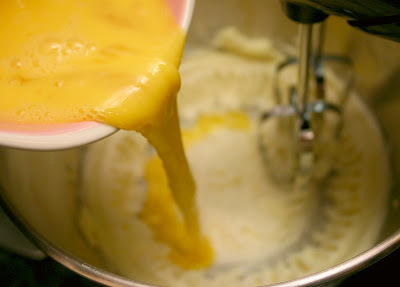 Add the egg mixture to the creamed butter and sugar a little at a time while continuing to mix. Repeat until all the egg has been incorporated. Next, add the dry ingredients in small amounts and stir until combined. Repeat until all the dry ingredients have been mixed in. 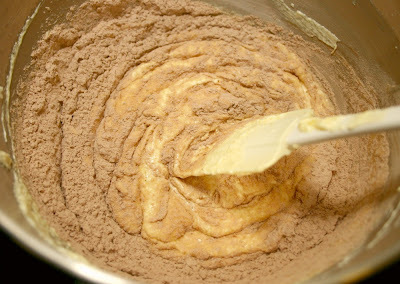 The mixture will become stiffer and stiffer as you go along which is the consistency you are aiming for. 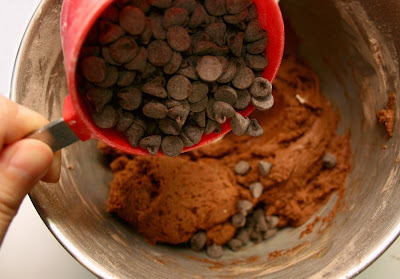 Add the chocolate chips and stir well to distribute. Place a sheet of parchment paper on a cookie sheet and sprinkle some flour onto it. Divide the dough and shape them into two logs about 12" long and 2 to 3" wide. Sprinkle the tops with powdered sugar then bake in the oven for about 35 minutes. 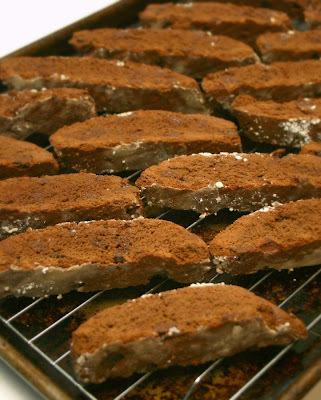 Remove the biscotti logs from the oven after 35 minutes and allow to cool for 5 to 10 minutes. They should still be a little soft in the middle. Using a serrated knife, cut the log into 3/4" width strips, on the bias. Lay the cookies down on the sides and return them to the oven. Bake for another 10 minutes. Transfer the cookies to a cooling rack and allow to cool completely before storing. They should harden even more after cooling off. 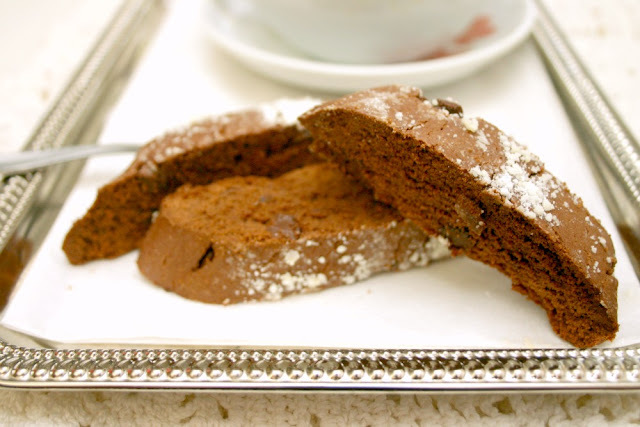 Enjoy the chocolate biscotti with your favorite coffee!